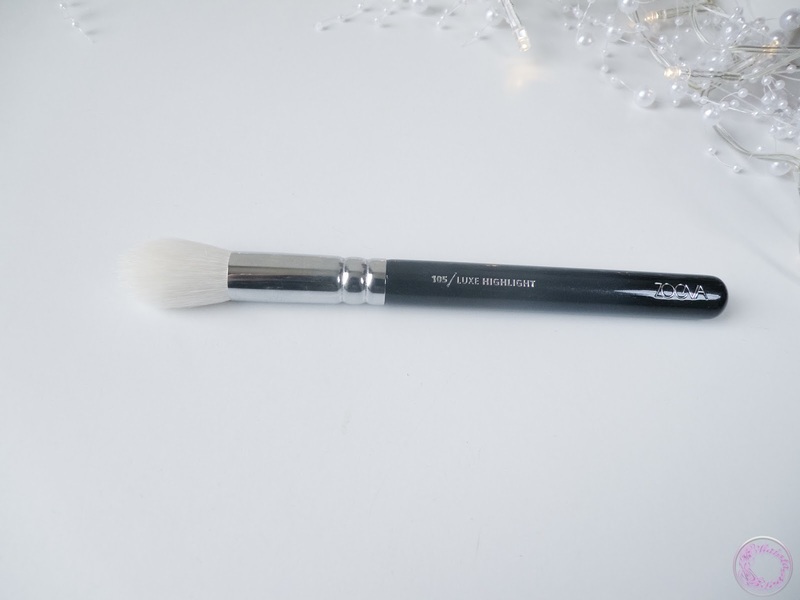 Zoeva 105 luxe highlight brush is a round, tapered end multi-purpose brush. This is my second brush from Zoeva and like my first purchase I am not disappointed at all. I got 105 brush about a month ago and I have been using it non-stop since then. It is made with white, free of dye natural and synthetic bristles which are super soft and feel very luxurious on skin. Bristles are nicely packed and there is no shedding whatsoever. It is not super dense which could make it stiff but not too fluffy so it couldn’t pack a decent amount product on skin. I love the size of it in particular. It is not too big so it can fit easily anywhere on face. Sometimes with big brushes, it is rather difficult to apply product where you actually want it to be. The handle is a standard shimmery black crafted from wood. The brush itself is light and easy to handle. Although it is advertised as a highlight brush, as the name says, but it is an all-rounder due to its shape in my humble opinion. 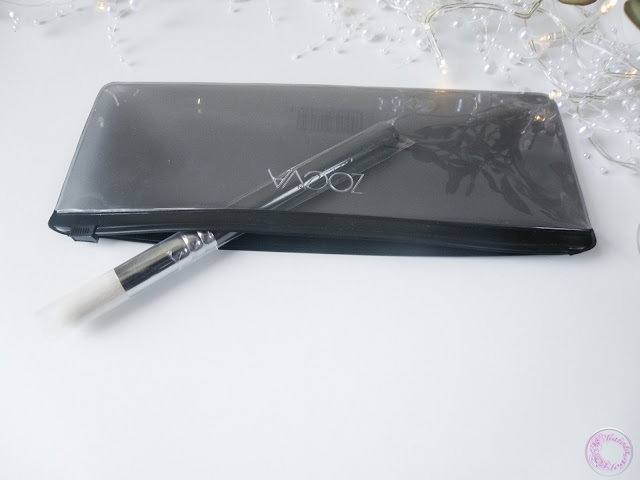 The pointy tip is perfect for applying highlighter on high point of face, like cheekbones, under the brow bone, cupid bow and on the tip of the nose without making any mess. Tapered sides are good for setting concealer and baking under the eyes and setting foundation with powder over a T-zone or for touch-ups. 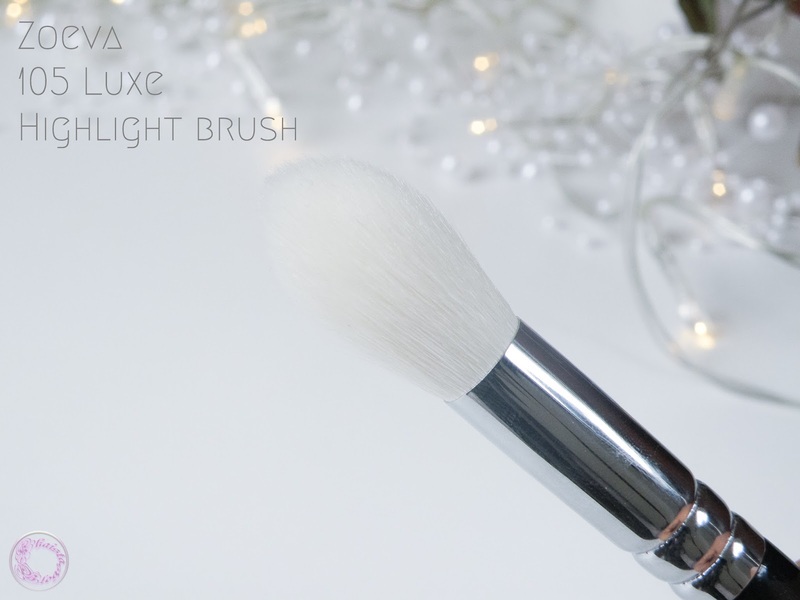 Luxe highlight brush shape makes it rather suitable for countering too. Because of its shape and size, this brush can apply product precisely to the hollows of cheeks and under the jaw bone. I used it to apply blush and it worked equally incredible. 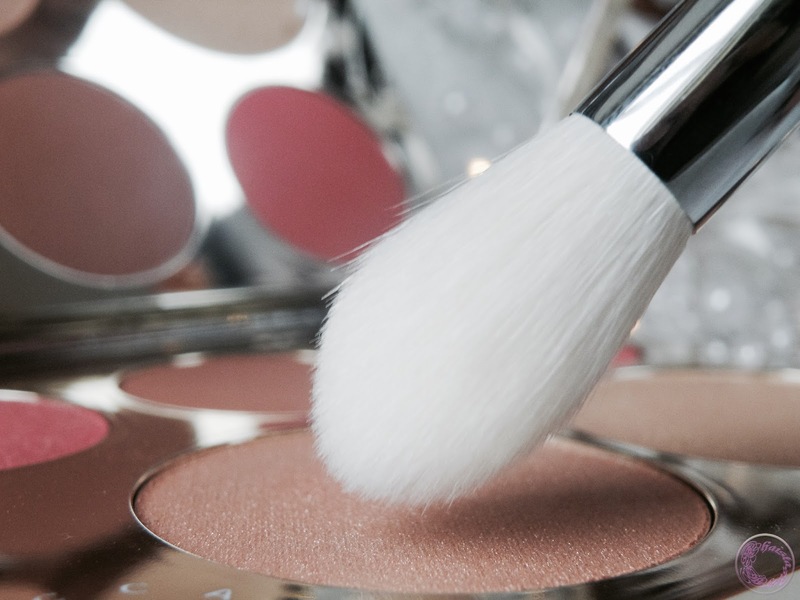 No matter what product you apply using Zoeva 105 luxe highlight brush, the result is always very polished and detailed. OOooh I have nothing but good things about Zoeva products and this looks like another to add to my ever growing list. 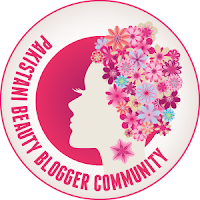 Your eye make-up look beautiful in this post btw! Aww... thank you for liking my eye makeup. I am very loyal to my real techniques brushes. This one looks lovely tho! I love RT brushes as well. But if you want to go for natural bristles brushes and Zoeva is a best choice. I love the look of this brush, and your photography is fantastic! Love the look of this. Although I'm more use to a fan brush for highlighting but I have a soft corner for zoeva always. I swear by some of their face and eye brushes. I have heard of the brand as Rachel is a fan, but I am constantly confused as to which does what job! It is a multi-purpose brush and that's why I adore it.